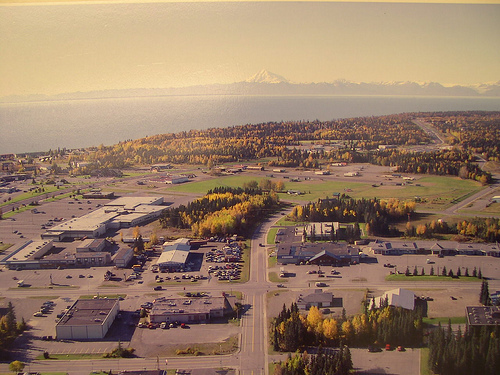 On November 19, 1987, the Kenai Peninsula Borough Resource Development (RDC) adopted a resolution recommending to the Assembly that a borough-wide economic development district be formed, with the Borough participating along with the Borough’s home-rule, first class, and second-class cities. Furthermore the recommendation stated that the Borough Administration should develop and implement a plan for transferring existing RDC functions to the district, Planning Department, and other entities and that the RDC should be dissolved upon district designation by the U. S. Economic Development Administration (EDA) . The following summarizes the events leading up to and following this resolution. December 2, 1986: The Borough Assembly reorganized and reestablished the RDC with a mandate to be more aggressive in economic development. Spring, 1987: RDC met with the Alaska EDA to consider options for being more effective. Economic Development districts were considered. November 17, 1987: Assembly accepted and appropriated state and federal grant funds for the formation of the district and development of a new overall economic development program. November 19, 1987: Revised articles of incorporation and bylaws were presented to the RDC along with a favorable report regarding the support of the cities. December, 1987: Each of the home-rule and first-class cities endorsed participation in the district. The only second-class city, Kachemak, decided not to participate. A resolution will be presented to the Assembly at its January 19th meeting which will authorize participation of the Borough in the district and call for the preparation of a transition plan and the dissolution of the RDC after official designation of the of the district has been received from the EDA. Under the resolution the Borough would appoint three individuals who are elected officials or employees of the Borough and one individual representing an important economic sector of the Borough to serve on the district board of directors. The functions of the RCD would be reduced, with many of its program and project responsibilities transferred to KPEDD. The Planning Department and Planning Commission would maintain their statutory roles in economic development planning. Borough financial and staff support to the district under existing grant programs would continue through September, 1988. At that time new grants made by state and federal agencies for economic development would go directly to the district. Limited financial and support services to the district would be provided by the Borough through contract on a continuing basis. However, the district would hire its own staff and work toward financial independence. Tourism: Studies undertaken by the RDC find that there needs to be a borough-wide promotion effort, with current efforts being duplicative and inefficient. In discussions with the communities, this point seems to be agreed upon. Some districts in other parts of the country have been very successful in dealing with this issue. Resource, Product, and Industrial Services Marketing: The Governors Trade Alaska program is looking to regional organizations as the vehicle to accomplish many of its objectives. A major interest on the part of Seward is similar to the tourism issue, there needs to be borough-wide marketing of the tremendous resources of the Borough as we work to diversify and stabilize the economy. Entrepreneur Assistance: Perhaps the most successful program in the country, has been financial gap assistance through revolving loan. KPEDD partners with local financial institutions and business assistance programs to maximize the opportunities for local entrepreneurs. Of particular interest to KPEDD is value-added industries. Project Development: KPEDD is in the position to receive grants for project development. Currently the unincorporated areas of the borough are restricted from some projects opportunities (i.e. ports and airports) open to the cities. The most relevant opportunity at this time may be the resource developments on the West Side of the Inlet. Grant Assistance: Communities have been increasing their sophistication in this regard. However, there are untapped opportunities to be developed.